Top Row (From L to R): Wat Bowonniwet Temple, 2) A self-portrait with the colourful graffiti, 3) An all-smiles man selling traditional Thai pancakes. Middle Row (From L to R): 1) Fresh coconut drink, 2) Monks on the street, 3) Democracy Monument. 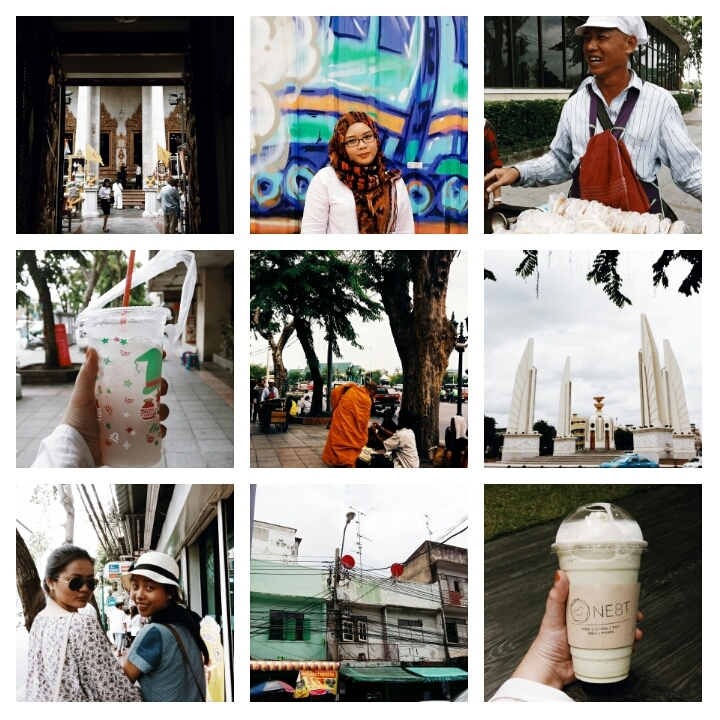 Bottom Row (From L to R): 1) Rachelle from The Philippines and Yok from Thailand, 2) Old buildings in the old city area, 3) Matcha Frappe from NE8T. 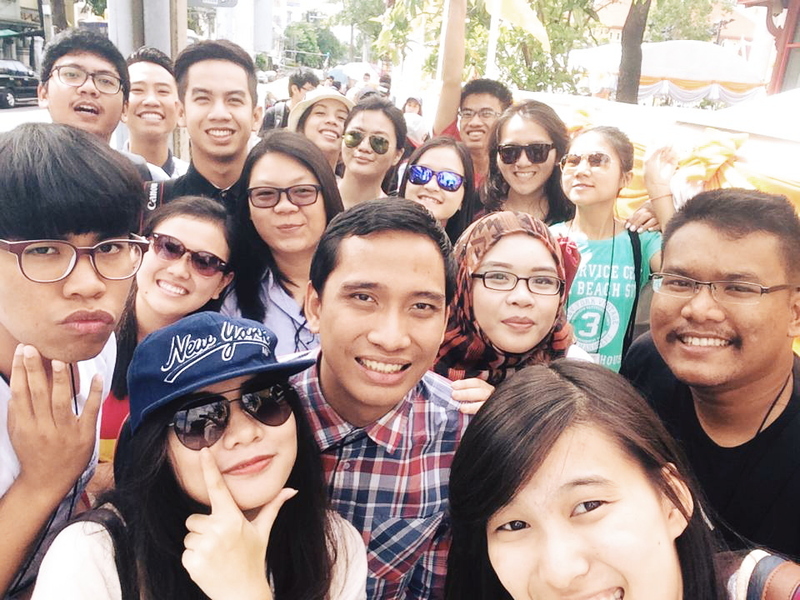 The committee brought us out for a tour around the old city area in Bangkok where Khaosann Road is. Apparently, Khaosann Road is famous for its night life. According to some of the delegates who went there the night before, the road was far quiet during daytime. Each group was dropped off at different locations and the committee made sure that we had at least one committee member and one local student with us so that we wouldn’t get lost, though the idea of dropping us off at different locations was to encourage us to explore the area as we tried to find our way to the meeting point. On our route, we came across The Democracy Monument, Bowonniwet Temple and October 14 Memorial. It was a sweltering hot day and so we found a vendor selling fresh coconut drinks and it was refreshing, for lack of a better term. When it was lunch time, we went to have lunch before we explored more of the old city area. One of the delegates, from Myanmmar, came across a shop selling film rolls and I was beyond ecstatic that I ended up buying all of them. They were Kodak Gold 400. I did manage to see the pool for this film on Flickr and the tones looked amazing. Once we met up with everyone, we went to NE8T for a workshop where we had to draw the routes that we took to get to the meeting point and then presented them to the others. Top Row (From L to R): 1) A self-portrait at Grand Palace, 2) Buddha statues at Wat Pho Temple, 3) A photo with a South Korean tourist at Wat Pho Temple. 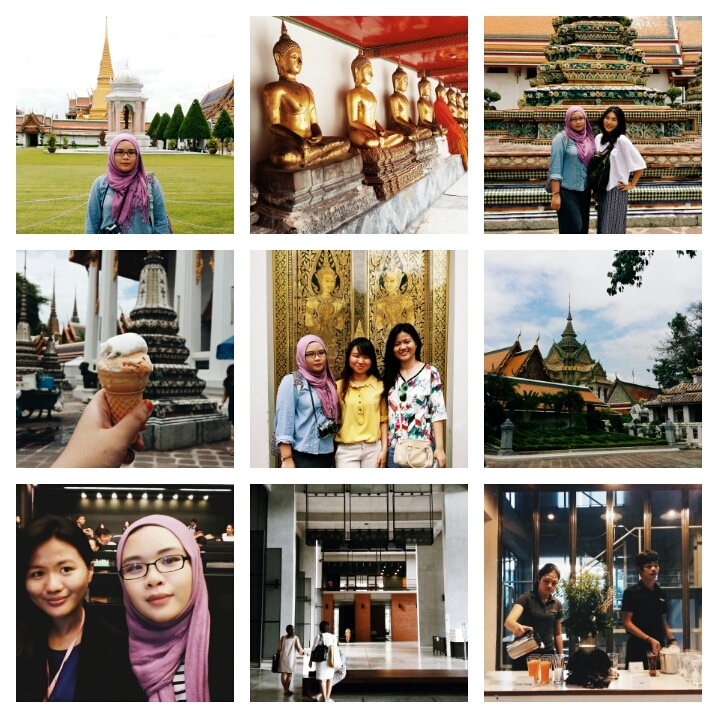 Middle Row (From L to R): 1) A coconut and vanilla ice cream, 2) A photo with Yuii from Thailand and Rachelle from The Philippines, 3) Wat Pho Temple. Bottom Row (From L to R): 1) A sneaky selfie with Rachelle from The Philippines while waiting for the lecture to start, 2) The minimalist hall at the newest building at Chulalongkorn University, 3) Dinner at a minimalist cafe in Bangkok. Rachelle (The Philippines), Yuii (Thailand) and I decided to ditch shopping for sight-seeing at Grand Palace and Wat Pho Temple and the amazing sights and architectural designs were totally worth it! When I first arrived in Thailand, I noticed the prominence of traditional architecture, even in the city. That says a lot about the identity of the country which are the agrarian roots and their spirituality. Thus, having a closer look at the historical buildings which were teeming with so many tourists was such an over-whelming experience. In the afternoon, we attended a special lecture on ASEAN and its economic prospects at the newest building of Chulalongkorn University. 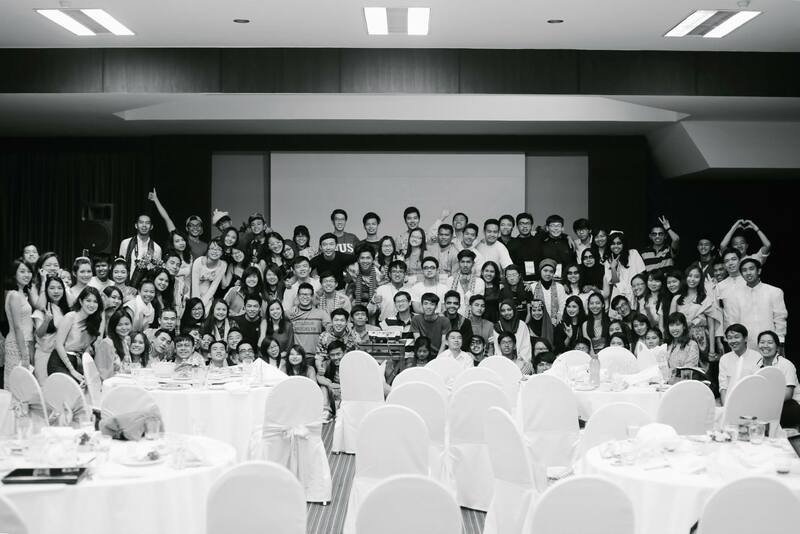 An out-of-the-world photo of all of the Bruneian delegates together. Top Row (From L to R): A shop at Dragon City, 2) The picturesque view of Dragon City from the tower, 3) One of the Chinese Temples at Dragon City. Middle Row (From L to R): 1) Lunch prepared by the residents, 2) Chickens, 3) Beautiful trees over looking the paddy fields. Bottom Row (From L to R): 1) Rice milling in Suphanburi, 2) Flowers being used for food colouring in desserts, 3) More paddy fields. 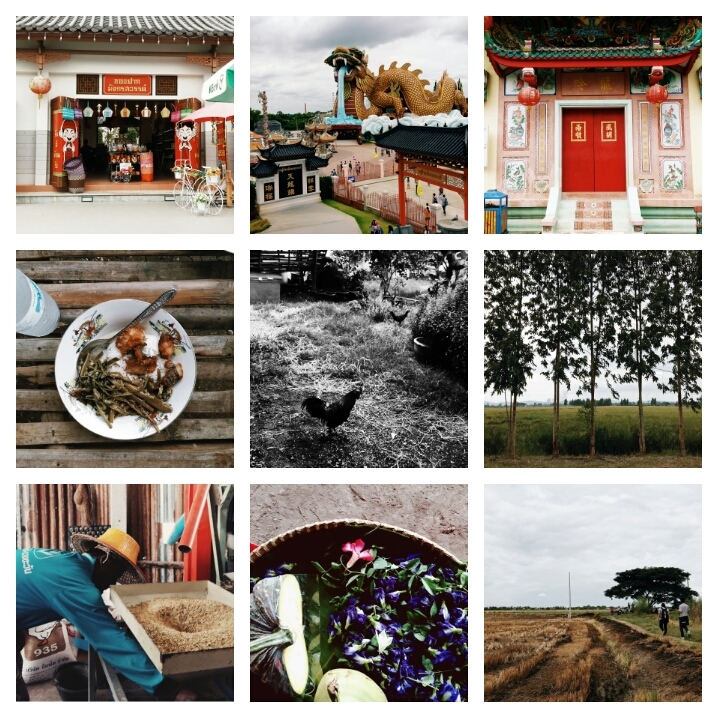 After a whole week of being in the city, we went on a trip to the village located on the outskirts of Bangkok namely Suphanburi. I didn’t remember what I saw on the way there since I was asleep nearly throughout the journey. Our first stop was the Celestial Dragon Village, a little China Town with a fusion of modern and traditional Chinese architecture. There was an array of souvenir shops, restaurants, vendors and even a convenient store. One particular vendor selling rice crackers caught my interest. I tried a bit and I was completely in love it! As we walked through the village, we came upon a tower and the iconic giant Dragon which was almost 135 metres tall! There was also a temple where worshipers pray. After the pit-stop, we went to visit a community of villagers whose houses were surrounded by open paddy fields. We were given briefings on rice milling, harvesting and packing the rice. We also had the opportunity to make traditional Thai desserts which used completely natural colouring with flowers. A group photo of all delegates and committee members at the Celestial Dragon Village in Suphanburi. 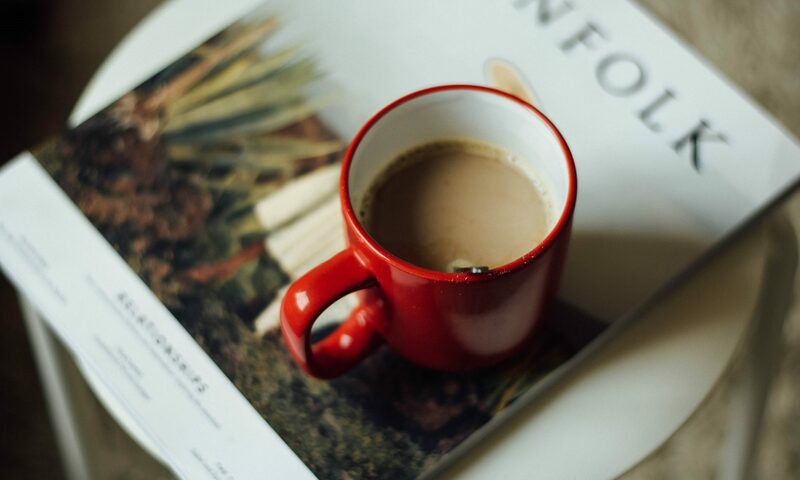 I got my morning coffee fix before attending a whole day Design Thinking workshop. This workshop taught us how to come up with a solution for an issue or a problem through a series of procedures. So before we got into all that, we watched a movie titled ‘The Human Scale’, detailing different cases and views on how we build and design our cities and use them in a way that whether or not would encourage human interaction. It was quite a moving documentary. After that, we began the workshop by writing down an issue that should be addressed by everyone on a piece of paper. With the same paper, each delegate had to go up to a person and asked if his/her issue was more important than the other one. Once voting was done (which was simply by giving a point from the scale of 1 to 5), we had to switch the papers and then continued the process by going up to a different person. If we ended up going to a person with your original paper, we had to look for someone else. This took almost 5 minutes before we were finally asked to submit all of the papers to the committee members so that they could tally which issues had the most votes. 10 students held up the top ten issues on papers and we were asked to go to the person holding the issue that we were most concerned about. 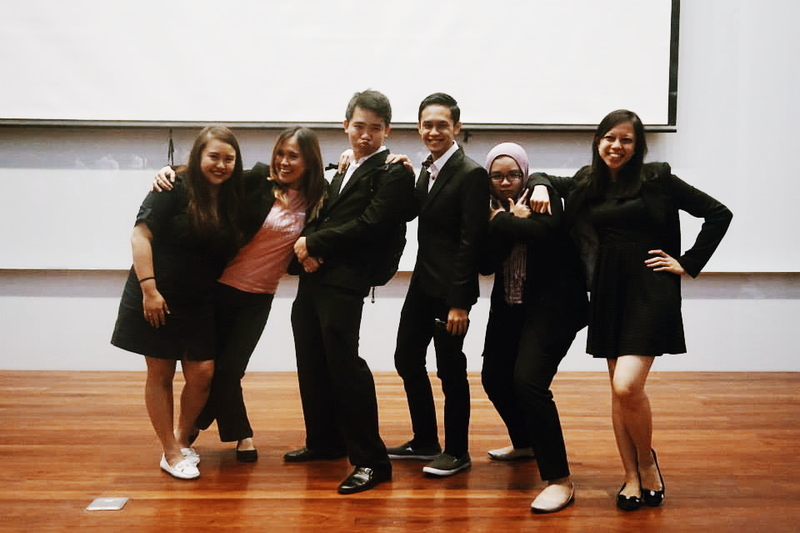 These students had prior trainings in Design Thinking by Stanford University. 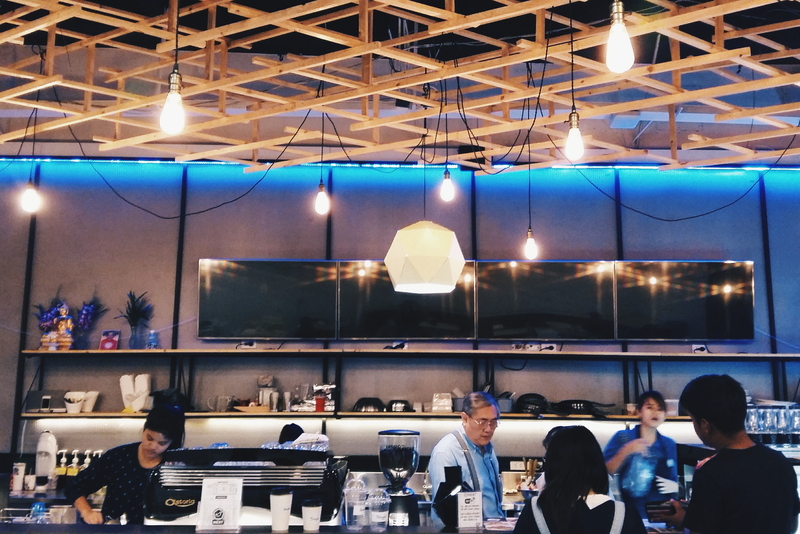 So, we went through the process of emphasize, define, ideate, prototype, and test. At the end of the day, we made our way to Pattaya. Top Row (From L to R): 1) & 2) Interior of Laem Chabang Port Museum, 3) The lit-up area was a port in Brunei according to the 17th-century old map as interpreted by the curators. 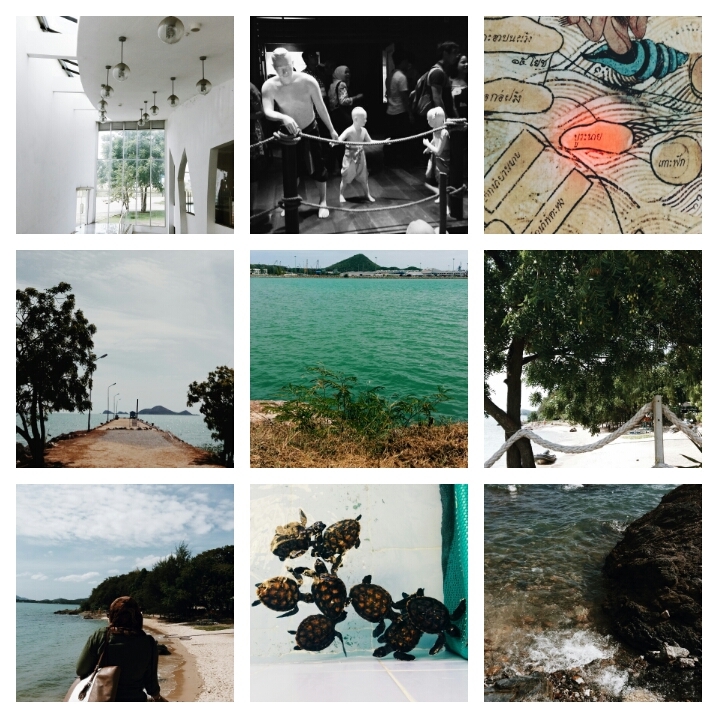 Middle & Bottom Rows: Scenic views at Turtle Conservative Centre by the Royal Thai Navy. First thing in the morning, we went to visit Laem Chabang Port which almost a two-hour drive from Pattaya. It is the largest port in Thailand, which sources its economy mostly from international shipping such as retail. The best feature of the port that caught my attention the most was that the port recently transitioned into a green port after the energy-saving project was approved by the Thai government. Of course, this is a good thing because through this project, the port would increase in efficiency by 20%. Afterwards, we were taken on a tour around the museum which had ancient maps of trade and ports in Thailand as well as trade routes from Thailand to rest of the world. It was a nice surprise to see Brunei on one of the 17th-century old maps as interpreted by the curators. The second site that we visited was Sea Turtle Conservation Center of Royal Thai Navy. The center was built to conserve and restore natural resources and the marine environment. We had about an hour to ourselves, so each and everyone of us went around to revel in long sandy walks and the clear blue waters of the beach. After a little getaway at the beach, we went back to the hotel to prepare for National Horror Show where all the delegations put together performances reflecting cultures and beliefs in their respective countries. Brunei’s performance consisted of a play that told the story of how the ancient fish trap dance came to be. It all began with a ritual that involved the suicide upon the death of a beloved spouse within the Bisaya community in ancient Brunei. Due to the eternal love presented through this ritual, the community would then have good spirits that could help their people. Since it was a play and we did not have a lot of resources, we decided to add a little plot twist in the play where the wife whose husband passed away refused to go through the ritual because she was pregnant, and then she ended up getting drowned with her husband’s lifeless body in a man-sized fish trap. So, that resulted in a vengeful and angry spirit that caused a riot in the village. Each country was so creative with their performances. Some were hilarious, others were scary. But they were all so entertaining. As intermissions, the committee announced several awards. Alhamdulillah, I was awarded ‘The Most Hardworking Delegate’ and ‘The Most Likely To Become President’. I was also nominated ‘ASEAN Female Idol’. It went to Xeera, the Head of Bruneian Delegation. To our surprise, we actually voted each other for this award! She truly is one of my inspirational figures, so I was deeply flattered that she nominated me of all people! The evening began with laughter and ended up with tears and sobs when reality started to crash down on everyone that most of us would be parting ways the next day. I think that no one really expected how much we had gained in 10 days. Aside from knowledge, we also gained hopefully long-lasting friendships and here I am, thinking of how blessed we are to be in this modern era where we can stay connected online no matter where we are around the world. I didn’t think that this day would come so soon. All thoughts of sadness and parting ways with all of the friends that I made through this programme came rushing towards me like never-ending unprecedented waves especially when I went to the lobby. I could see everyone giving little souvenirs to one another just like the night before. Clearly everyone was just glowing with so much love and appreciation! We were divided into three groups bound for three different destinations which were Suvarnabhumi Airport, Dongmaeng Aiport and Tawana Hotel (for those who were extending their stay in Bangkok or had evening flights). I tried my best to hold back my tears and it was close to no avail until I walked away from those taking other buses. 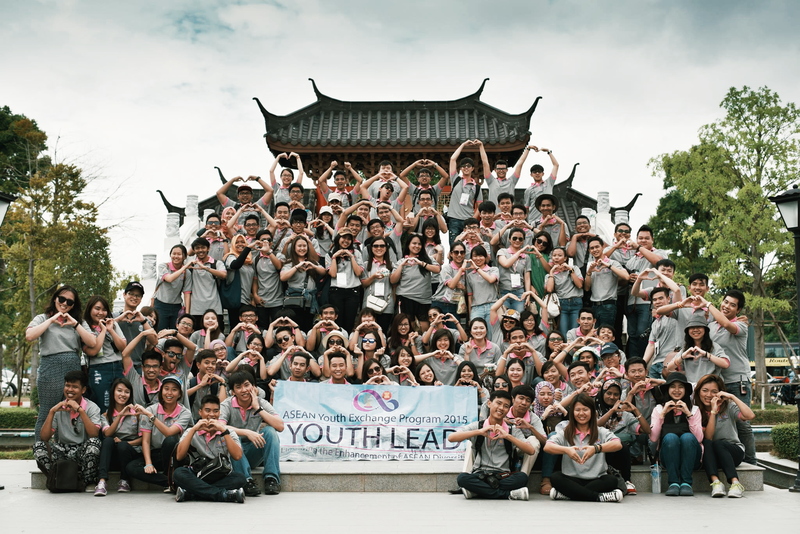 So there you have it, the rest of my experience in Thailand through the ASEAN Youth Exchange Programme: Youth LEAD 2015! I can’t fathom enough how much I have grown during these 10 days. If there’s one way that I love to do my travels, attending a youth exchange programme would be it! It allows you to meet people from different countries and backgrounds, to go to places that you might not be able to do on your own unless it is cost-saving and to learn a lot about the country that the programme is based in. Hands down, this trip to Thailand is officially one of my all-time favourites that I would constantly love to reminisce and share with others. And yes, I figured you might’ve known her in UBD! Next PostNext New Home, New Look, New Domain!